Part of the East Midlands, Rushden is a town within the county of Northamptonshire. It has a population of around 30,000, and a good selection of properties ranging from affordable terraces near the centre of town to detached family homes on the edge of the surrounding countryside. 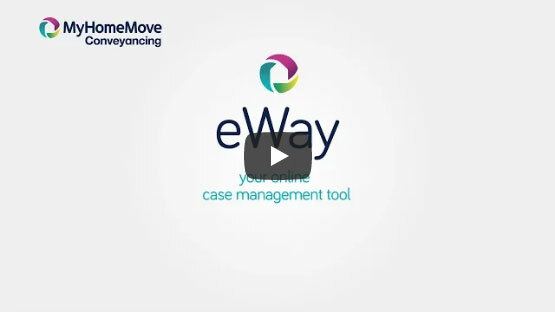 At My Home Move Conveyancing we provide a specialist, fixed fee conveyancing service. We can help you find your perfect home in Rushden, having developed our knowledge and expertise of property markets like this since 2001. When buying or selling property in Rushden, you’ll need the services of property lawyers to help you complete the necessary legal work. My Home Move Conveyancing offers an award winning level of customer service, which makes moving home easier for you. We combine an innovative use of technology with unrivalled experience and a positive, dedicated approach to what we do. Our conveyancing service comes for a fixed fee, so you can plan for exactly how much you’re going to pay from the start. There are no extra hidden charges to worry about when we act as your Rushden conveyancers. For complete peace of mind, if you don’t end up moving, you won’t have to pay us a thing in legal fees. We’ll assign you a dedicated conveyancer who’ll take care of your case from start to finish, providing you with a consistent point of contact and regular progress updates. You’ll also have access to your account online as part of our market-leading service, allowing you to check on your move status 24 hours a day. At My Home Move Conveyancing we’re proud to supply our conveyancing services in Rushden to customers looking for a variety of homes across the area, including in the town centre, by Rushden Hall Park and in neighbourhoods like Higham Ferrers. The average house price in East Northamptonshire is £210,847, while the overall average sale price in Rushden during the past 12 months was a bit lower than this at £195,778. Most sales in this period involved terraced properties, which went for an average of £155,507, while semis fetched £188,357 and detached houses £287,470. Rushden is associated with a number of industries which have brought growth to the town over the years, including lacemaking, farming and shoemaking. There was more than a hundred boot and shoe factories in the area in the middle of the 20th century, with services provided to a number of defence departments around the world, including the British Army. Only a few of these factories now remain, with some having been converted into flats and apartments. The town centre has undergone a programme of regeneration over recent years, improving the appeal of the shops to both locals and visitors. Rushden sits on the A6 road between Kettering and Bedford, while Northampton isn’t far away to the west. Here you can pick up the M1 motorway, while the A1(M) passes to the east of town. One of the biggest towns in England which doesn’t have its own railway station, the closest is around five miles away in Wellingborough, although there are plans to build a station in Rushden itself. Services to London’s St Pancras station take around 50 minutes from Wellingborough, so if you don’t mind a quick drive as well as a train in the morning, Rushden is a viable commuter town. There’s a decent selection of schools in the area to choose between for your children, including Whitefriars Junior, Denfield Park Primary and Higham Ferrers Junior for younger pupils. The Ferrers Specialist Arts College and Rushden Academy are among the local options at secondary level. All properties in Rushden will fall within one of the following council tax bands.